As a strategic partner, The FBA is closely working together with ESSMA, the European Stadium and Safety Management Association. This week marks the start of ESSMA’s involvement in the curriculum which will equip the candidates of The FBA’s Professional Master in Football Business with a firm understanding of stadium operations and management. Let’s take a closer look at ESSMA and what they do. 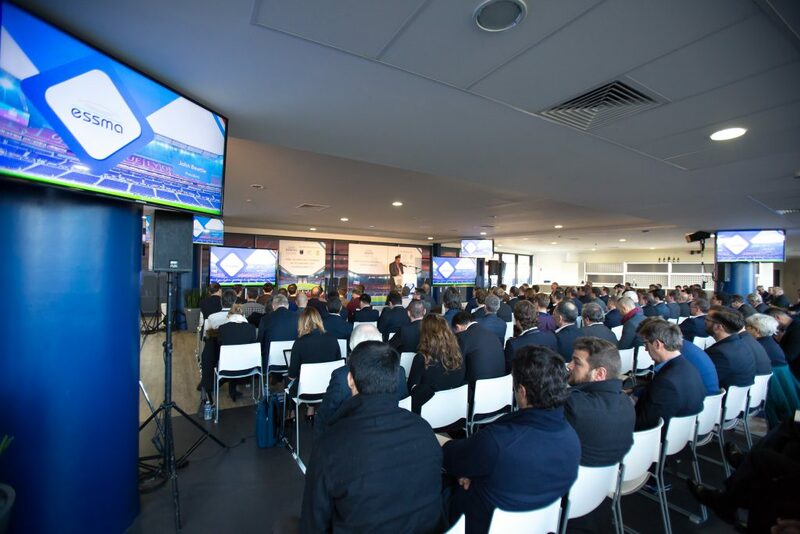 ESSMA facilitates practical knowledge exchange between stadium professionals based around six areas of expertise: Development & Construction, Operations & Ticketing, Sustainability & SMART, Safety & Security, Fan Entertainment & Hospitality and Pitch Management. At ESSMA you become part of a unique network of stadium professionals and an established network of passionate individuals with a wealth of knowledge in the stadium management industry. Members are placed central in the 3 pillars of the organisation: events, business intelligence and strategic support. Workshops, tours and the flagship annual ESSMA Summit provide ideal opportunities to connect, learn and evolve with other like-minded industry peers. Practical examples brought by leading keynote speakers can be taken home by participants and add value to their day-to-day working. Thanks to a wide range of data, ESSMA can share best practice guidelines and insights, offering an extensive overview of the industry and in-depth analysis of specific projects. Every member can count on the right strategic support, whether it’s providing professional film solutions for events or helping with a bespoke content strategy, ESSMA is there to help. The ESSMA-FBA collaboration includes a 10-week online course with many top experts from the ESSMA member community, 2 extensive field trips to some of Europe’s most iconic stadiums, special invitations to the ESSMA Summit where The FBA students will attend workshops, conferences, tours, and have the opportunity to network, as well as dedicated internship opportunities at member clubs, leagues and associations.